WiiWareWave Tournament 2015: Preliminaries Registration! Our Own Brand of World Championship! In celebration of the 2015 Nintendo World Championships WiiWareWave is going to hold its own elimination style tournament using similar rules to the 2015 Nintendo World Championships though Naturally games like Splatoon can't be utilized with groups vying for the championship title due to lack of video and screenshots sharing functions online, but MK8 and Smash can. 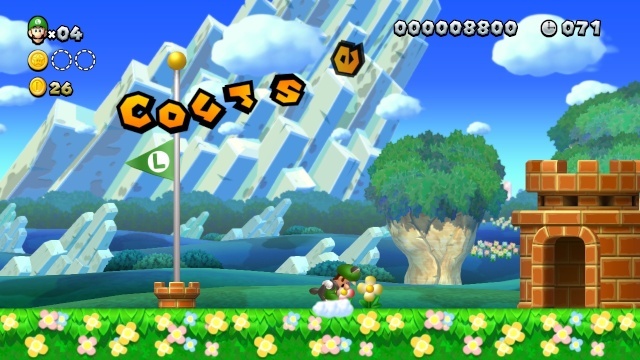 Along with any other games that have Miiverse screenshot sharing features! Registration ends on Friday at Midnight PST and that's when Saturday's challenges will be announced. Each day new challenges will be issued to 2-12 players that remain in the tournament and the worst player will be eliminated each round until we are down to two contestants! Then a best of five tournament-style series of challenges will be issued to the two finalists! The top player will win two free North American retail DS titles! And several others will win a ton of WiiWareWave Coins to spend in our loyalty shop! We look forward to your participation! To enter the tournament let us know in the comments below! You must start a new file for this run. 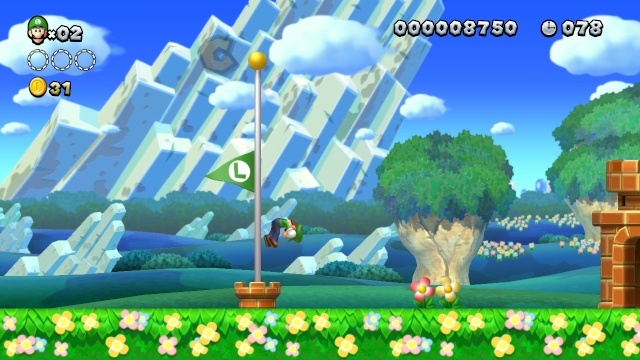 Take a screenshot via the Wii U browser when you grab the flagpole as proof. The player with the worst time goes to the current round's underground stage. More details will be announced about the underground at a later date! The races will be the entirety of the Animal Crossing Cup and the person with the worst score heads to the underground for the round! I will personally upload the Youtube videos of the matches and post them in this article after the races have ended! The match begins at 6:00PM PST on Sunday 06/21/2015. Good luck and have fun! Re: WiiWareWave Tournament 2015: Preliminaries Registration! I'm going to be with family all of Saturday, but if there's any way I can still compete, you bet I will. There is no stopping the dragon! WOO! This is gonna be awesome! Participant list updated! Officials can call matches based on player performance in group games with online play. Game Masters can create challenges for players to compete in, but must only choose participants that own the game in question during that round. All players chosen for a challenge must complete any non-group challenge within 24 hours or it'll count as a loss. Game masters must work everything out so all players can be accounted for and are able to compete with at least one other participant for each of their rounds! Eliminator's are officials who aren't eligible for the physical prizes e.g. live outside of NA or myself "WiiWareWave's co-owner", but are counted for during challenges to weed out the competition! The first challenge will be a three-way Grand Prix in MK8 between @bro2dragons, @Rukiafan, and @GamerZack87 to weed out one of our officials right off the bat. Officials aren't wiped from the tournament when they lose, but they are no longer eligible for the prizes. The second challenge will be between @Amufungal, @StarOceanCrazy, and @Digidestined and will be a speed-run of stage 1-1 in New Super Luigi U. A pic of when you grab the flagpole will be required via. the Wii U browser's screenshot sharing feature. The other events are TBD based on the participants and what games they own. I'll add this to the main article soon. Eh, I doubt I'd be eligible for anything other than Coins, so I'm not bothered if I lose. Having said that, I intend to try my hardest! I guess your an eliminator! Is that kinda like terminator? So...I guess I'm not the Blue Ranger then? I would be honoured to join the tournament. Not counting VC, I have exactly five games I can play. Splatoon is not one of them. Super Mario 3D World, New Super Mario Bros. U, Mario Kart 8, Donkey Kong Country: Tropical Freeze and Super Smash Bros. for Wii U.
I love tournaments! @Pokefreak registers! Go ahead and register me. I'll enter, but I won't be able to join group events. I wouldn't Mind taking a Crack at this. Yes! Only one day to go! Time to show everyone how terrible awesome I am at Mario Kart 8! You aren't that bad actually. You're almost as good as me so don't be so hard on yourself. 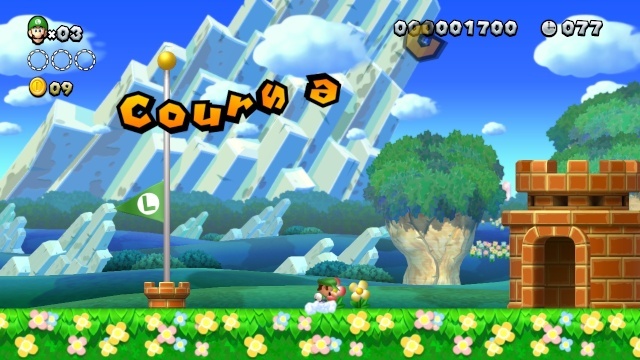 The problem is that the game is so similar to MK Wii in-terms of physics and controls that the experts from that game quickly became MK8 experts as well. Participant list has been updated. This sounds like fun so I'm joining! GamerZack87 wrote: Yes! Only one day to go! Time to show everyone how terrible awesome I am at Mario Kart 8! Rukiafan wrote: You aren't that bad actually. You're almost as good as me so don't be so hard on yourself. 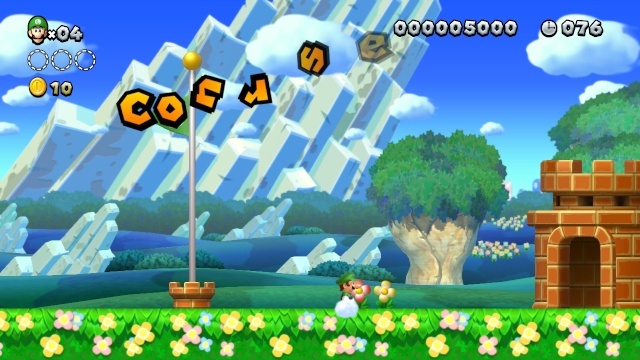 The problem is that the game is so similar to MK Wii in-terms of physics and controls that the experts from that game quickly became MK8 experts as well. I wasn't being hard on myself at all, just my usual silly self. I can't help it, of course, because I'm super-excited! ...did I mention I'm super-excited? The participant list has been updated again. The registration period is nearly over. If you want to join hurry up because registration ends at 12:00 AM PST/ 00:00 PST. @Rukiafan I noticed that I'm listed as a "Game Master/Eliminator". What exactly does that entail? We need a way to talk to each other. You guys got Skype? I think i made a thread for that years ago on here. Cellphone, Tablet?. You can Download the skype App. I got a G2 Phone, it's portable, but doesn't have a browser or fancy apps. oi. So theres no way at all me can all talk. Well not to me, but I know @GamerZack87 has access to Skype, he's too shy to do video chat though. dont need to do Video Only voice. Thats if you guys want to. I dont know why Nintendo is so Opposed to Voice Chat. Article updated with the first two matches! it would be easier if everyone added each others NNID. That would help with Coordination alot. You guys already know mine. So it's at 11AM on Monday in eastern Australia? I got an awesome time! Did I just win match one!? Otaku wrote: Did I just win match one!? Whoa! You beat 1-1 in under 22 seconds! @Digidestined sadly you're heade underground, but don't worry you have a chance at the end of the round to get back into the competition.